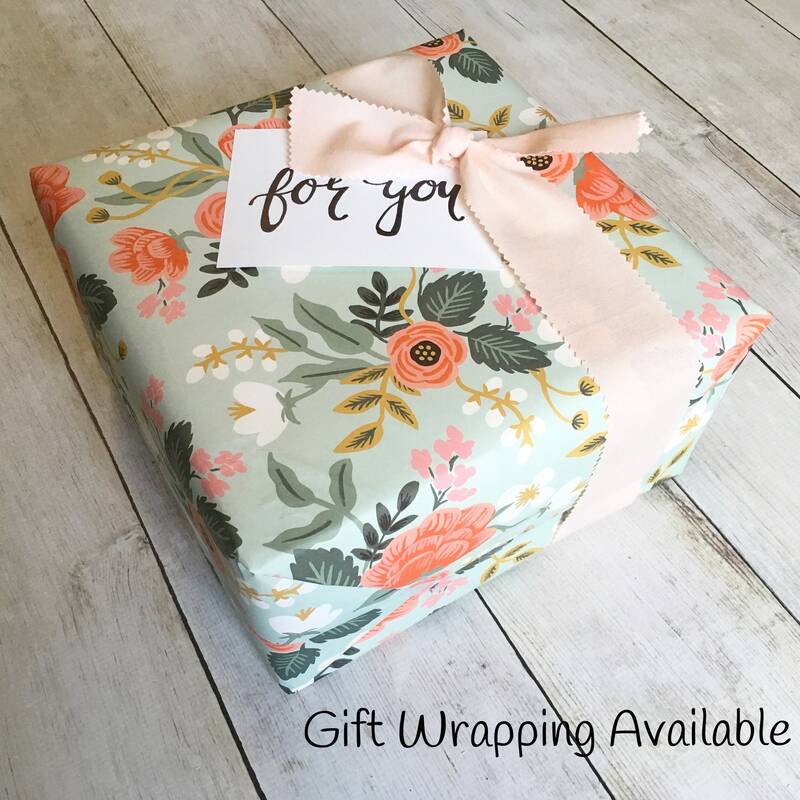 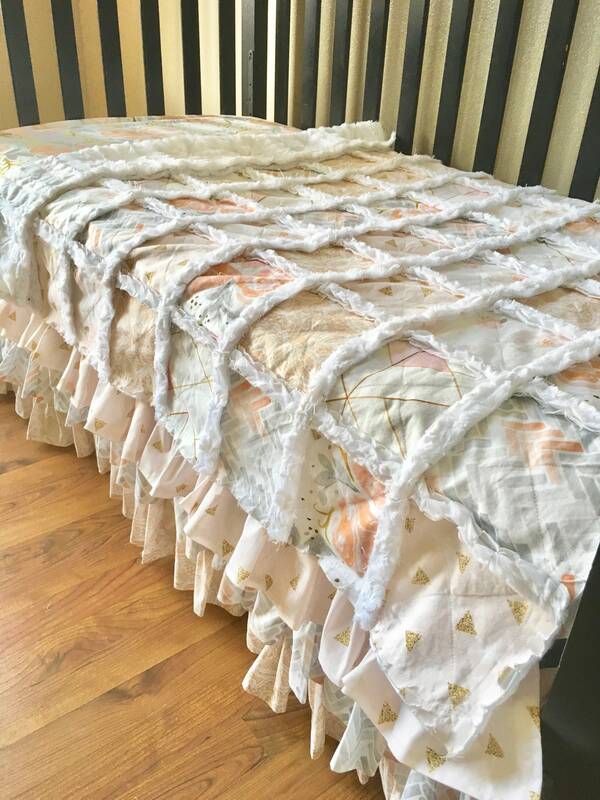 Beauty and comfort all wrapped up in one! 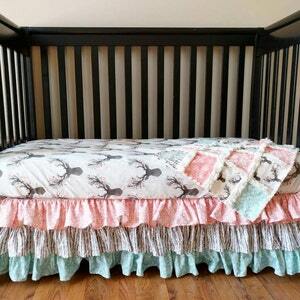 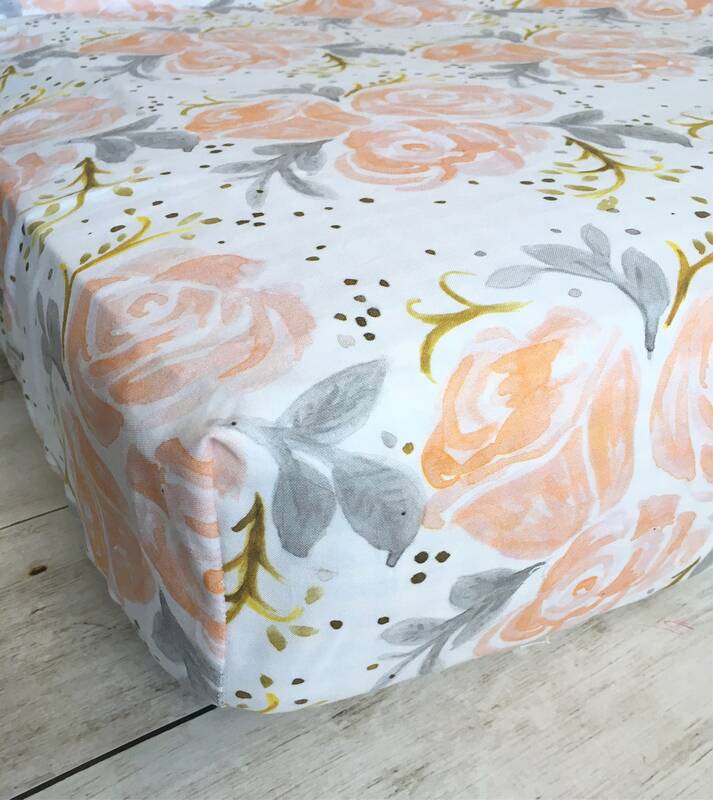 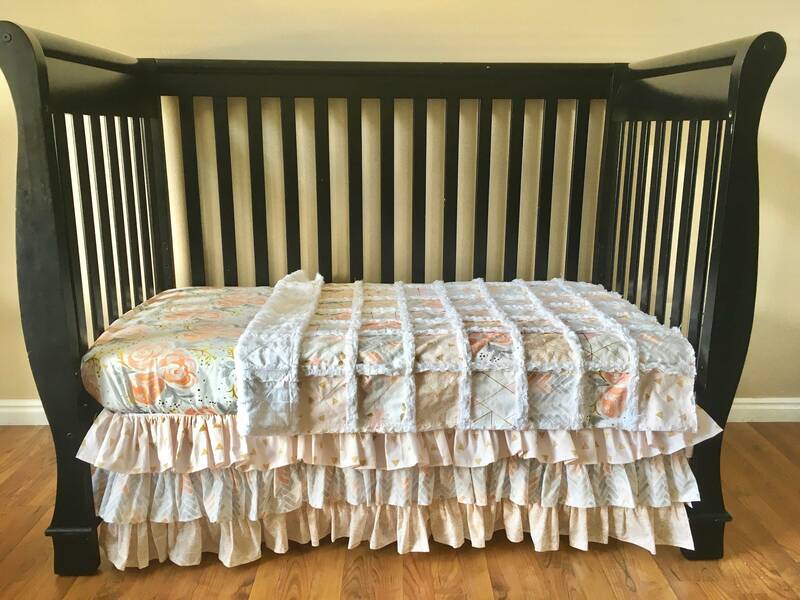 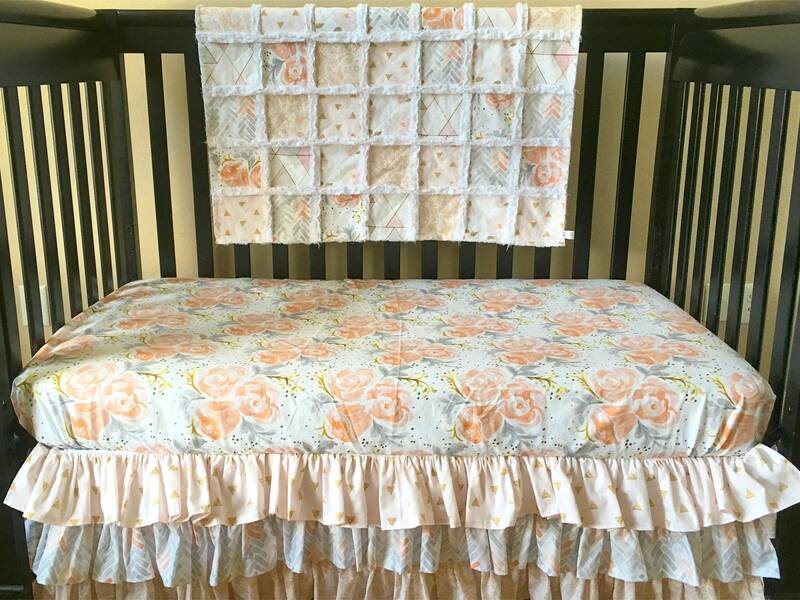 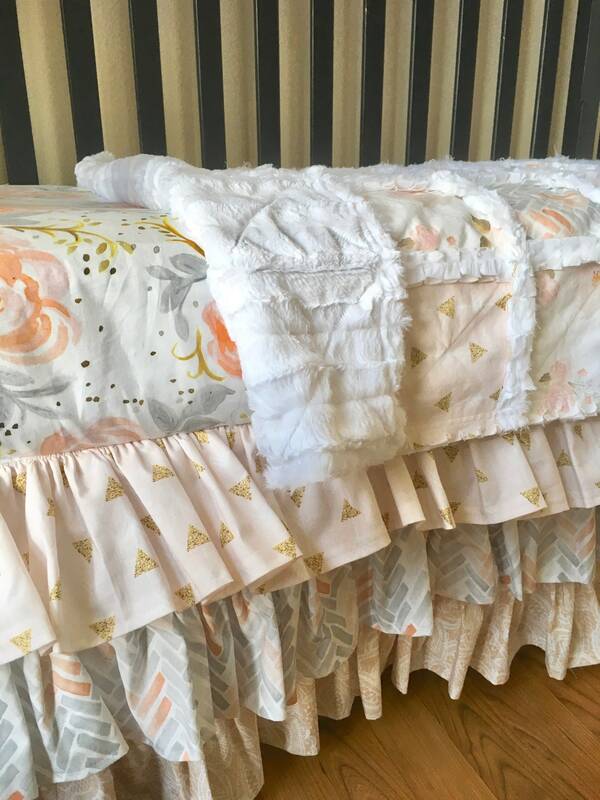 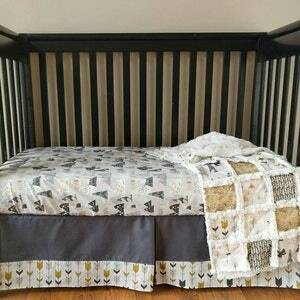 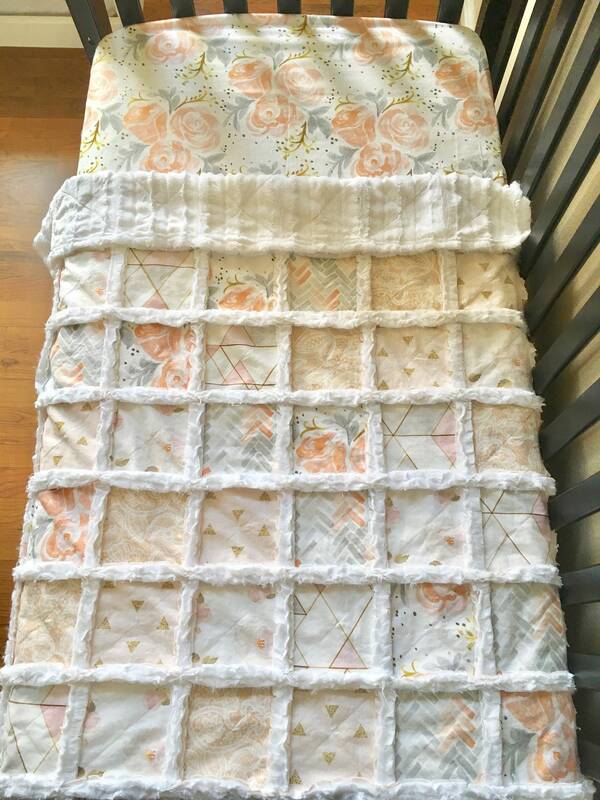 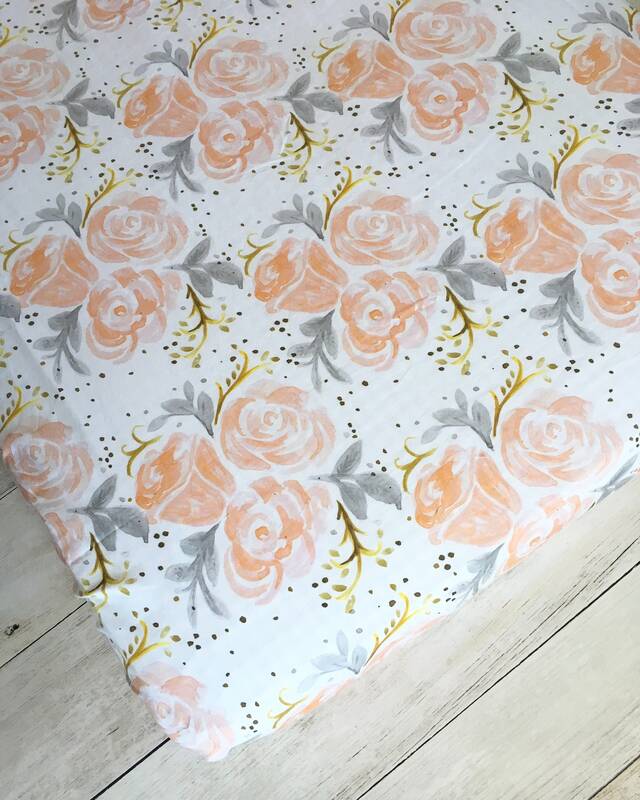 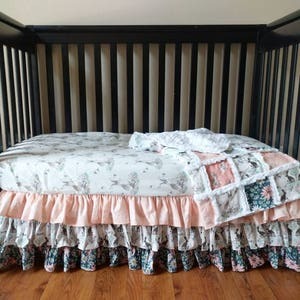 This crib set is made with pink, gold, and grey prints including pretty florals and watercolor herringbone. 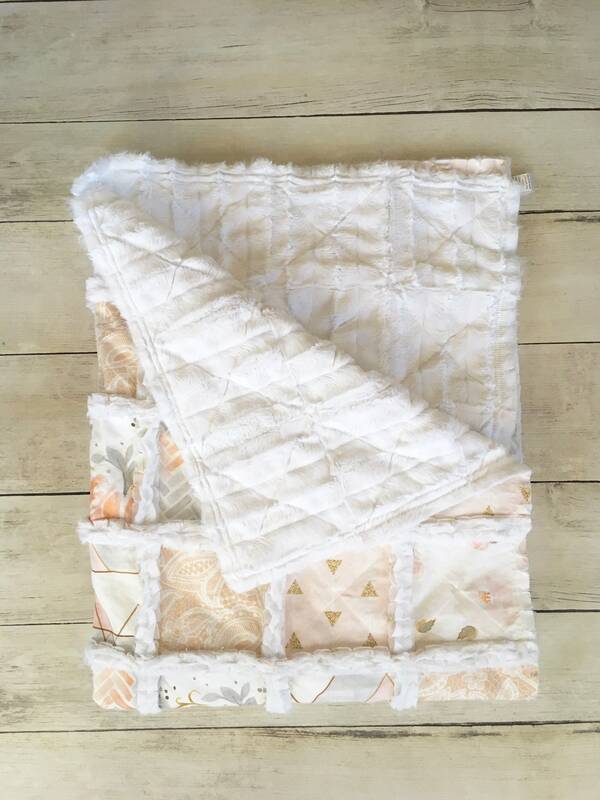 The back of this quilt will be done in fluffywhite minky, which is so perfect for snuggling! 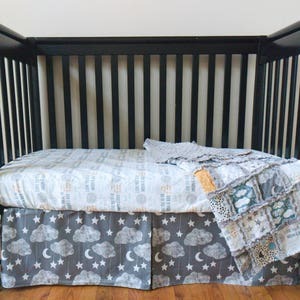 This is my second quilt/bed set I’ve ordered. 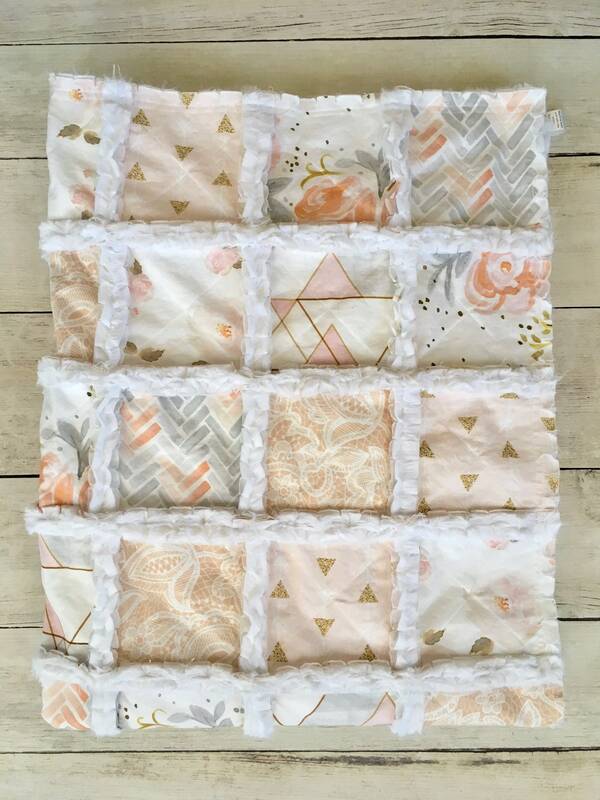 Cuddly quilt never disappoints with her quality and beautiful patterns!